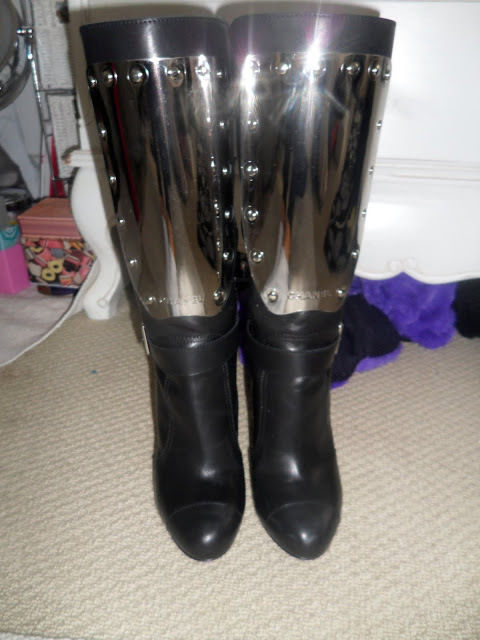 My Brand New CHANEL boots !! Havent posted in a while, not so much writer's block but more like lack of free time !! I am off to Miami on wednesday so will have lots and lots to blog and vlog about then so make sure you stay tuned !! But moving on to other things, not so long ago I went into selfridges with one of my besties and decided to do my usual rounds of Chanel to keep my hunger at bay. So I do my little rounds of the mini store in Selfridges, and as I am about to walk off I glanced at the mannequin in the mini window and saw my new lovers. 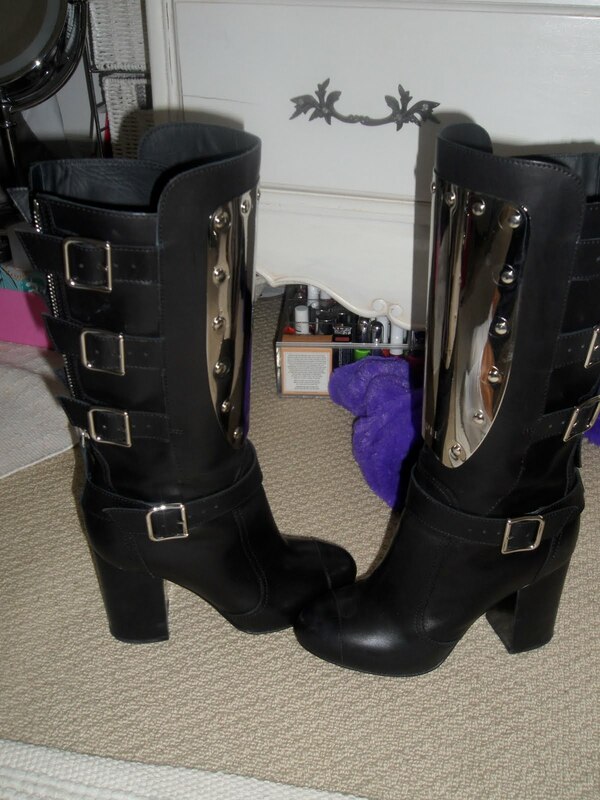 There stood, the most AMAZING boots I have seen in my life so far... (or at least I think so). I saw them and instantly ran to the counter and was like ... gasp... BOOTS ! size 38 & 39 !!! After wat felt like three hours on the phone to the woman in the stock room, the shop assistant told me they had both sizes in the chanel showroom upstairs.... So i ran.... and HERE THEY AREEEE !!!! Sorry to bore you with the story.... but here are the boots ! Those are thee grandest boots i have ever seen. I need them in my life. I finally uploaded a profil on youtube, just to commend your videos since i abosolutly love them! But it’s not really working so I had to write on your blog. You’re the best fashionrelated youtuber i've seen! I myself am also a HUGH sucker for Topshop and Alexander Mcqueen, and your fashion hauls inspires me. Please please please make more videos!!! They really make my day!